It’s been roughly five months since the NOx emission levels mandated by the Energy Related Products (ErP) Directive came into force. Martyn Bridges, Director of Technical Communication and Product Management at Worcester Bosch, recaps the recent changes. When the ErP Directive was introduced back in September 2015, so too were limits on the NOx emissions for oil, gas and all other fuels. As a result, low NOx appliances became mandatory. At the time, the UK gained an exemption because of its status as being not just a country relying on a significant volume of oil boilers, but also the only user of Kerosene as a fuel source for boilers. The unique combination of kerosene-fuelled oil boilers, as well as the sheer number sited within domestic properties, led to the UK Government and the oil boiler industry successfully lobbying for a relaxation of the emissions rulings. This allowed UK technology to be developed accordingly, and in turn has meant that all new oil boilers sold and installed from September 2018 onwards must be capable of achieving lower emissions levels set out by the Directive. What makes a low NOx oil boiler? Generally, and historically speaking, low NOx boilers tend to be physically larger in size or have a different burner technology – often a modulating or two stage oil burner – both of which come at a higher cost than the burners we have been used to for the last 30-40 years. A modulating burner is also more complex and expensive than a conventional burner due to its volume of components. Taking this into account, we enhanced our Greenstar range of oil appliances to achieve the lower NOx emissions levels of 120mg/kWh, without increasing the size of the boiler or integrating a modulating oil burner. The result is a hybrid burner – somewhere in between a blue flame and a yellow flame. This, crucially, gives us the NOx emissions required by the ErP Directive. Reassuringly, the changes to the burner’s make-up alter neither its appearance nor its layout; making it just as simple to work with as its predecessor. Furthermore, no extra familiarisation or training is needed to commission or service the burner. Ultimately, Worcester fully supports the UK’s ambition to lower NOx emissions and provide cleaner air. 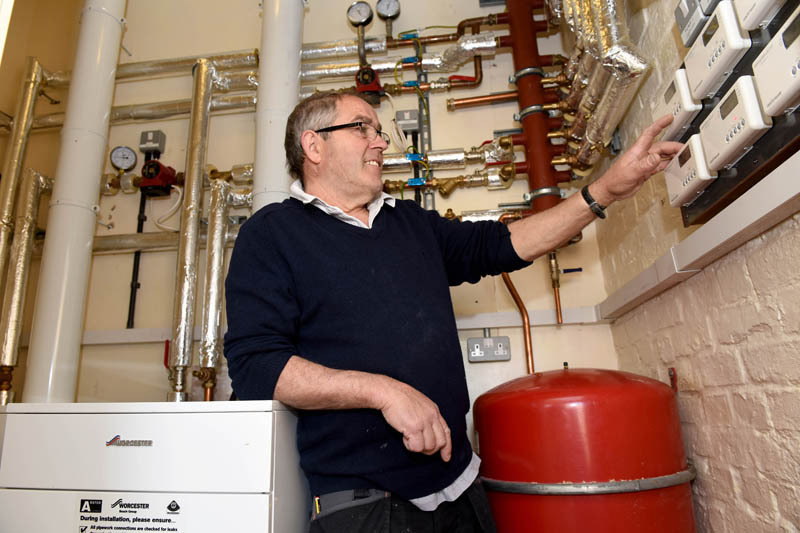 While oil boilers may contribute just a small proportion of the UK’s emissions, the heating industry has once again demonstrated its ability to boost efficiency for the good of the nation, by making this small proportion even smaller.